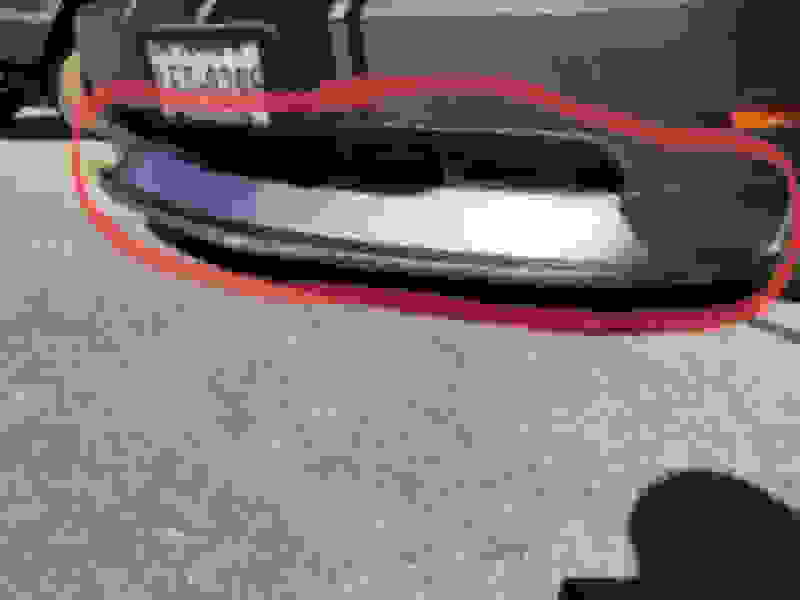 I call it a lower front fascia, but different sites call it different things ITHINK. It was on p car when I bought it and it scrapes all the damn time. Also, are there any recommended ones to replace it with? The boss style one from American muscle seems like a replacement but I want to make sure before I pull the trigger. Also, it’s hard to tell from the pics, but it sits significantly lower than the rest of the car and looks kind of goofy imo. 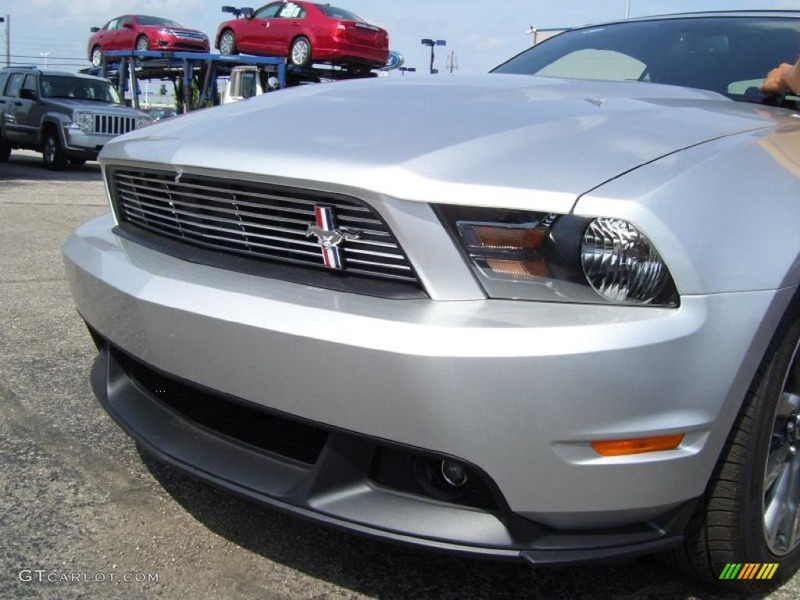 And does the 2010 mustang gt premium come with the GT/CS bumper? Apparently that’s needed to install some after market versions of these if I’m looking at the correct things. And just how hard is it to change? They say 1 wrench but then say 3 hours!? Seems weird. 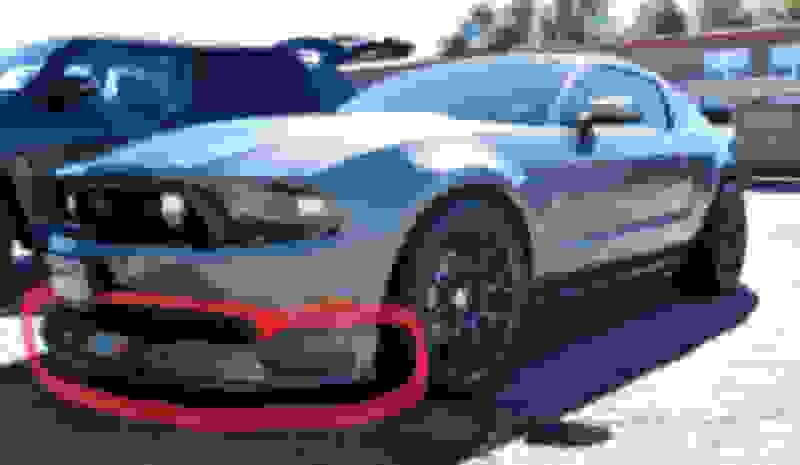 Last edited by SpaceCase; 12-01-2018 at 07:44 AM. yeah, you can take it off. Then you will have a few more inches of clearance. for the CS editions, for the newer look... It was '07-'09, '11-'14, then '16-'17. Well after a few long sessions of searching I found it. 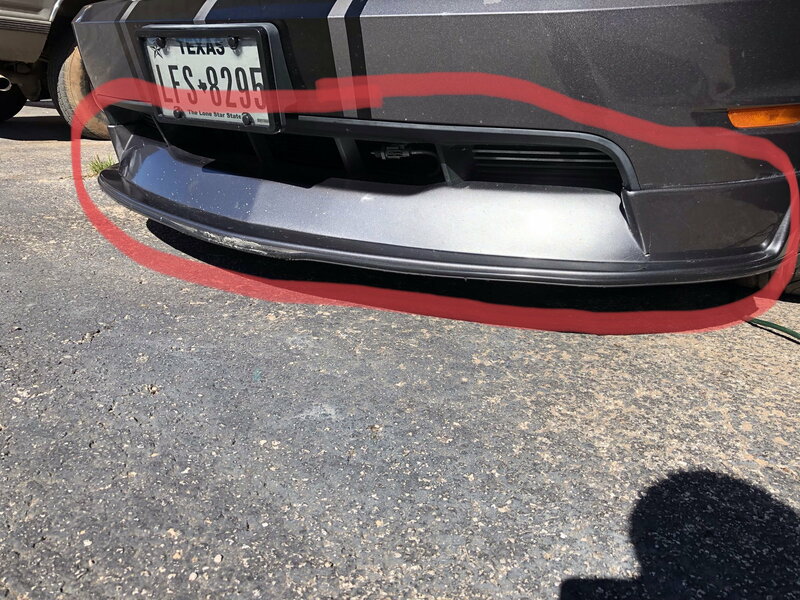 It’s a Steeda front bumper splitter. Couldn’t find any installation instructions, only a few seconds long clip showing a couple guys putting it on. So I think if I take it off it’s going to be a couple screws and some tape. I want this thing off, but hopefully the tape coming off won’t mess up the paint. Guess there’s only one way to find out. They say they use stock hardware and supplied Acrylic Bonding Tape. to use a heat gun, you can get it off. Can someone tell me what this plug is called? What is the piece called and where can I buy it? can someone tell me what these are called and if they will fit my car? MOVED: can someone tell me what these are called and if they will fit my car? Quick Reply: Can you guys tell me what this piece is called?